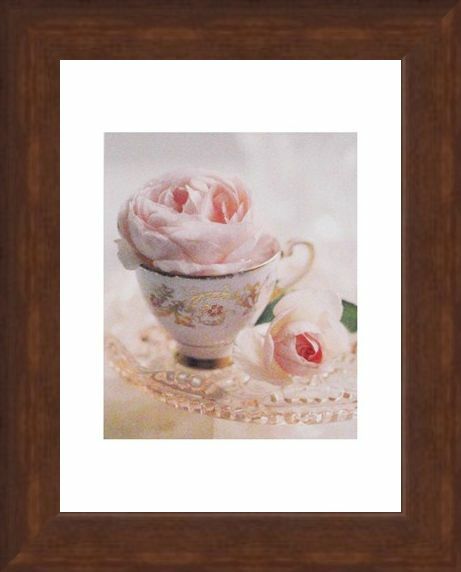 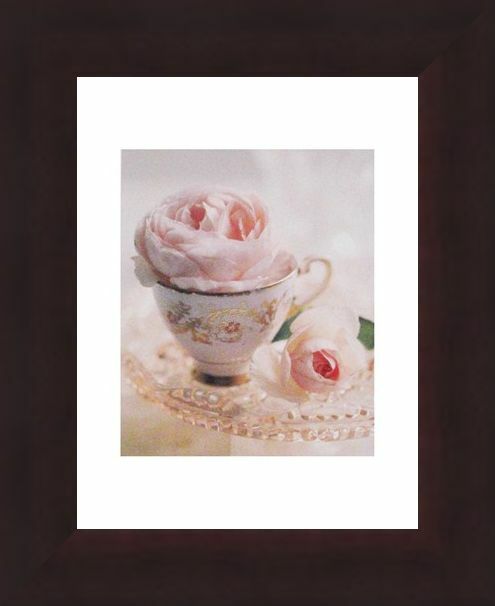 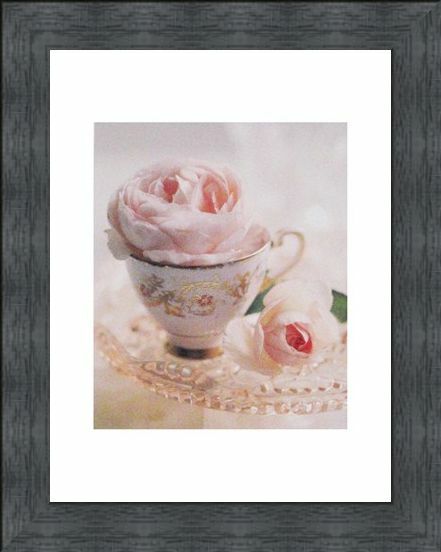 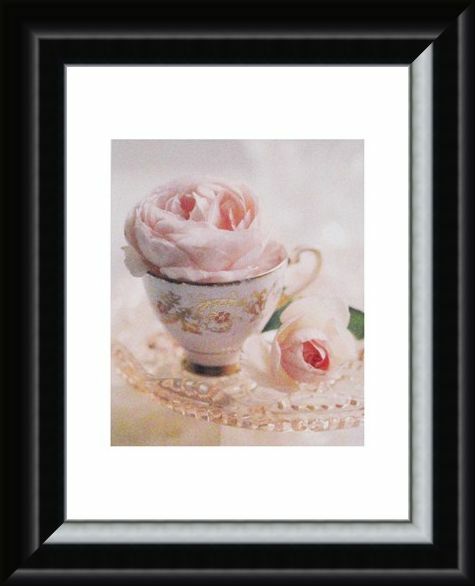 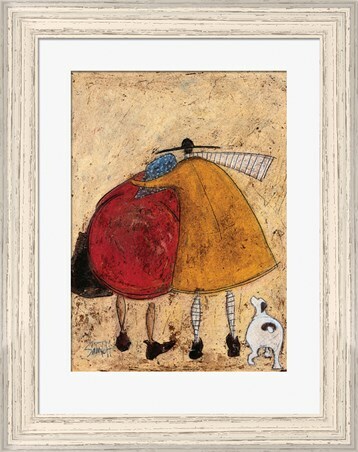 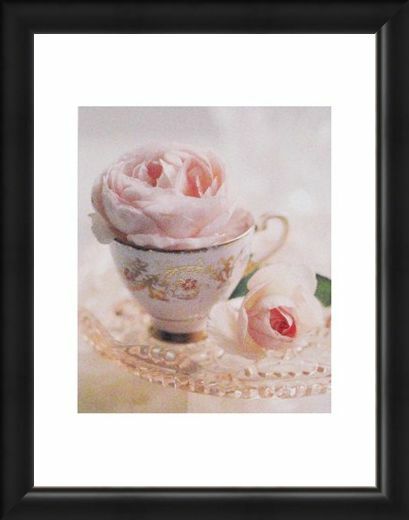 Photography Print: If you are looking to bring some feminine charm and style into your home then why not hang this exquisite photography print on your wall. 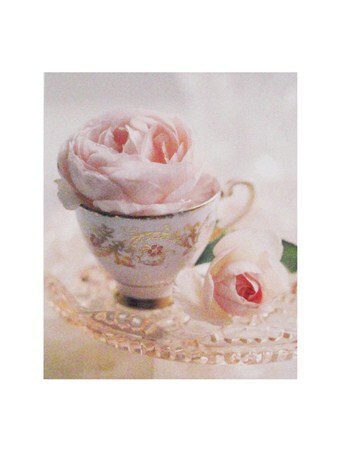 Captured by up and coming photographer Lina Ricci, this piece is bursting with decadence and sophistication as a beautifully decorated china cup sits on a glass table surrounded by delicate pink roses as their petals open from the bud. The pink from the roses reflects off the cut glass table top to create a hazy splash of colour through the clear surface. 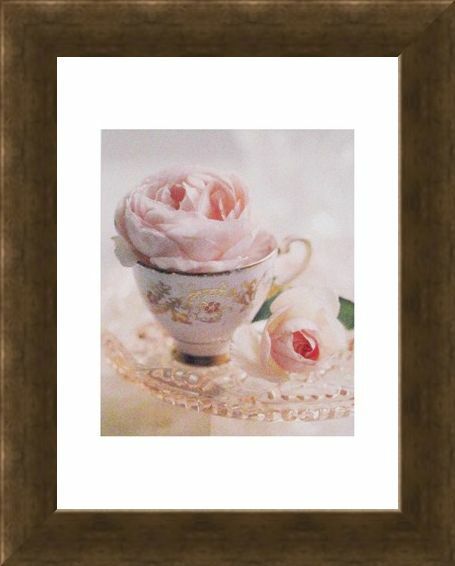 So if you are looking for something adorable for your home then why not treat yourself to some gorgeous girly photography with this lovely 'Pale Pink II' photography print. 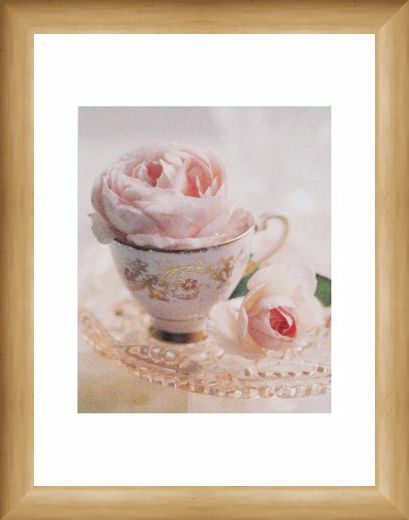 High quality, framed Pale Pink II, Lina Ricci mini print with a bespoke frame by our custom framing service.